The CompCom says regulatory interventions will be more effective in fostering competition. 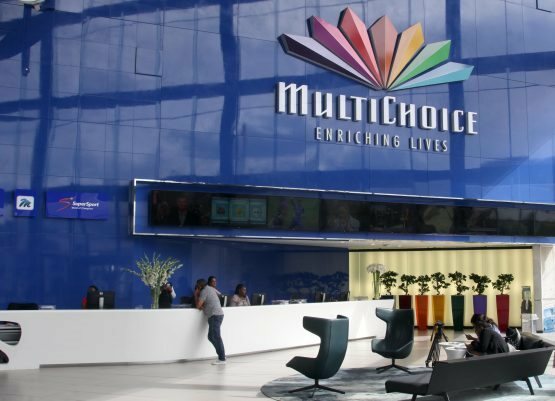 BUSINESS NEWS - The Competition Commission has elected not to refer complaints against pay-television operator MultiChoice and its SuperSport subsidiary to the Competition Tribunal, saying there are “no reasonable prospects of success and a regulatory intervention would be more effective”. However, the commission warned that there is “potential market failure” in subscription television in South Africa due to several factors, including a lack of credible alternative buyers to SuperSport for premium sports rights. Between 2012 and 2017, the commission received several complaints about abuse of dominance by MultiChoice and SuperSport. “While the commission is concerned of the likely market failure, it is of the view that there can be more targeted regulatory interventions to foster competition and make this market competitive,” it said in a statement. Other factors that could result in market failure include the highly concentrated nature of subscription television; high barriers to effectively enter the market and the inability of other existing firms to expand in the market; overly long and exclusive contracts between MultiChoice and some content suppliers; and a lack of credible alternatives to which individual consumers can turn to should they wish to switch away from MultiChoice, it said. The commission said it hopes an inquiry by communications regulator Icasa into subscription broadcasting services, currently taking place, will help address these concerns. It said Icasa’s investigation covers a “greater scope” than the complaints the commission received. It said it will contribute to the Icasa inquiry and support its work in line with the memorandum of understanding between the two regulators. In 2013, StarSat parent On Digital Media (ODM) lodged a complaint with the Competition Commission against MultiChoice, in which it accused its rival of engaging in anticompetitive behaviour. StarSat (now owned by China’s StarTimes) accused MultiChoice of abusing its monopoly by not supplying it with access to two SuperSport channels for broadcasting on StarSat (at the time known as TopTV). In its complaint, ODM asked the commission to refer the matter to the Competition Tribunal and asked that a fine be imposed on MultiChoice and/or subsidiary SuperSport amounting to 10% of their annual turnover. ODM accused MultiChoice and SuperSport of anticompetitive behaviour, which it said has made it difficult for it to offer a compelling alternative to DStv. It said it requested access to SuperSport 3 and 4, which broadcast Premier Soccer League and other football games. Although SuperSport appeared to be open, at least at first, to the idea of providing SuperSport 3 and 4 on commercial terms to ODM, it later backtracked on this, with ODM suggesting pressure had come from parent MultiChoice not to make the channels available to its rival. “Since SuperSport and MultiChoice are vertically integrated, there is an obvious incentive for SuperSport to protect the monopoly position enjoyed by MultiChoice. Such an incentive would most likely not exist were the two firms independent of one another,” ODM said in its complaint.